What I need to do is teach my dog to walk on 2 legs. And talk like a human. And get a job. Shouldn’t have taught the dog to use a camera. Or entered that talent show. Used as a verb, the big question becomes, who’s the object? Oh- and who’s harmed? Bluenoses paint tar with a _very_ broad brush! 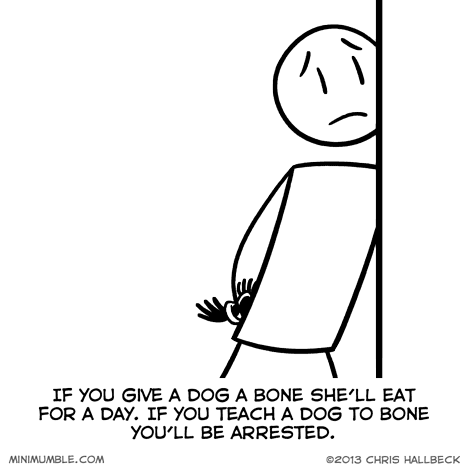 Now, if you teach a dog to Hambone, you’re set for life.